On my trips to Powhatan, I always park and take a few minutes to gaze down Bell Road towards Provost and Rosemont. These Virginia woods, rustling cornfields and nearby James River were home to generations of Taylors and I can see their stories here. Just across Bell Road from the Provost home stands Rosemont, a stately dwelling built by C. L. and Rosezilla Dodd in 1898. Like Provost, this house is also listed on the National Register of Historic Places and you can read about its unique architecture and interesting history here. There’s a small graveyard behind the house where a subsequent owner and his family are buried. There are no known Taylors buried here. 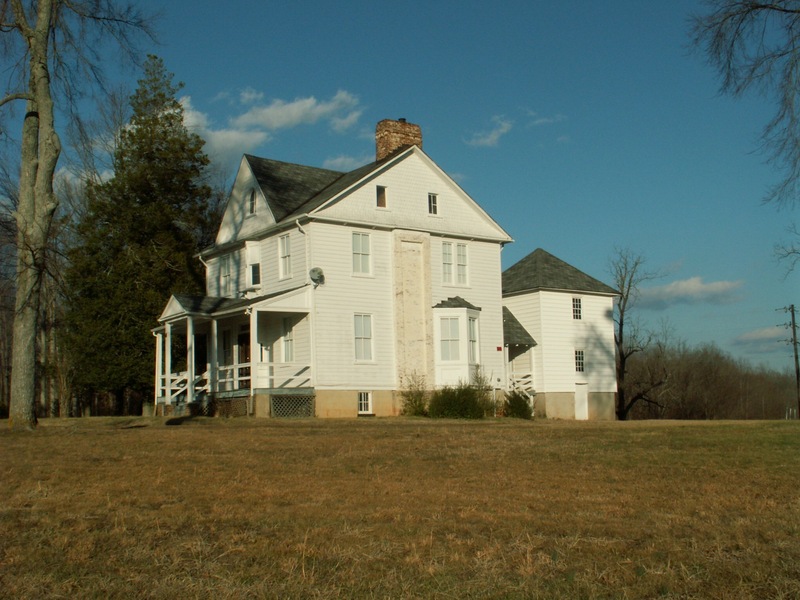 The site has also been known as Taylor’s Seat, Hard Scrabble and Oakville. Road locations and names change over the course of time, but I believe the River Road is now known as Cosby Road and Courthouse Road is now Bell Road. 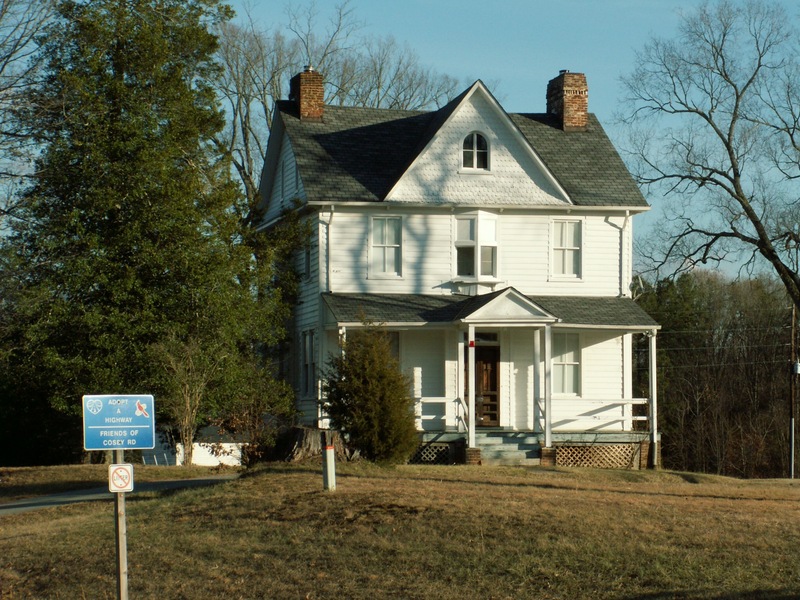 Powhatan County deeds record that Daniel Taylor sold a small piece of property in this area in 1869, shortly before he died. There were probably houses on the site or nearby. Daniel Taylor most likely lived very close to this house. Daniel Taylor, born in 1786, was the seventh of Robert Taylor’s nine children. He served in the War of 1812 with his brothers. He was nearly 40 when he received the land from his father’s bequest, but most likely had lived and farmed there all of his adult life. It is curious that Daniel did not receive title to the land earlier like Robert’s other children. Robert surely loved and trusted Daniel as he named him co-executor of his estate along with his brother George, stating in his will, “having implicit confidence in their integrity it is my will and that they should not be compelled to give bond and security for the due performance of the task committed to their charge.” Daniel had seven children with his first wife, Susannah Moore Williams, and five more children with his second wife, Louisa Blagrave Davis. Daniel died on 12 of September 1869 from rheumatism and Louisa received a small widow’s pension for his War of 1812 military service. Daniel Taylor was my fourth great grand uncle. Posted in Powhatan County, Taylor	rosemont provost oakville "daniel taylor" "robert taylor" "powhatan county" "taylor family" "taylor family history"